Fifty-seven people were killed; 250 homes, 47 bridges, 15 miles (24 km) of railways, and 185 miles (298 km) of highway were destroyed. A massive debris avalanche triggered by an earthquake measuring 5.1 on the Richter scale caused an eruption that reduced the elevation of the mountain’s summit from 9,677 ft (2,950 m) to 8,363 ft (2,549 m), replacing it with a 1 mile (1.6 km) wide horseshoe-shaped crater. This event was like giving a vigorous shake to a champagne bottle and then disturbing the cork. As soon as the avalanche took place, the steam and gasses trapped in cracks and magma inside got released suddenly and caused a massive explosion. However the thing about this blast was that it happened towards the north direction. That is to say, it was kind of a lateral blast, it did not go directly upwards. A radial sector towards the north of the mountain, where the blast was pointed at, an area of about 230 square miles got completely devastated by the hot gases and ash. This lateral blast resulted in a very peculiar phenomenon. Montana, Idaho heard it happen too. 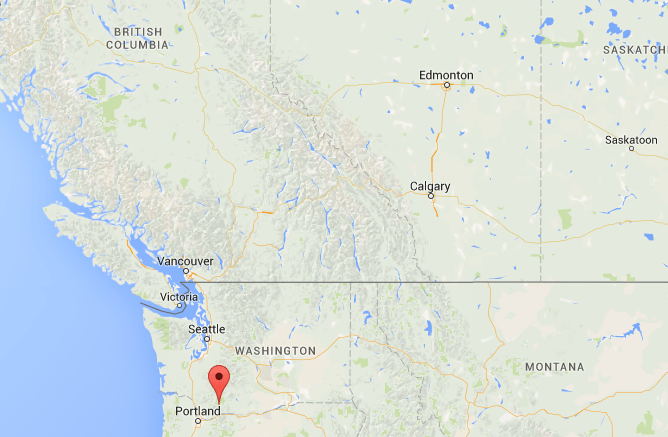 But only a few miles south, in Portland, the blast wasn’t heard.